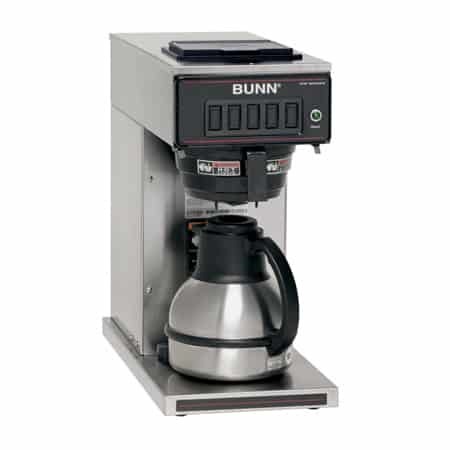 The BUNN CW15-TC Pourover Carafe Brewer 23001.0040 allows you to serve coffee away from the brewer. 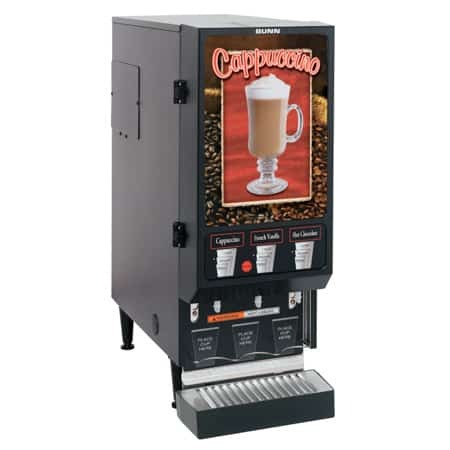 It’s a perfect means of providing coffee at boardroom meetings, buffet lines, office kitchens and break rooms. 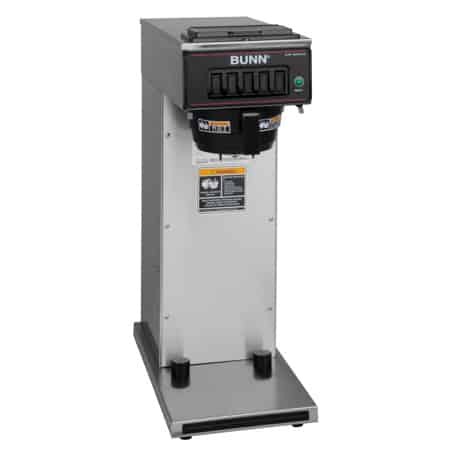 The Bunn CW15-TC Pourover Carafe Brewer makes it easy to brew coffee – just fill the filter basket with coffee grounds and pour water in the top. 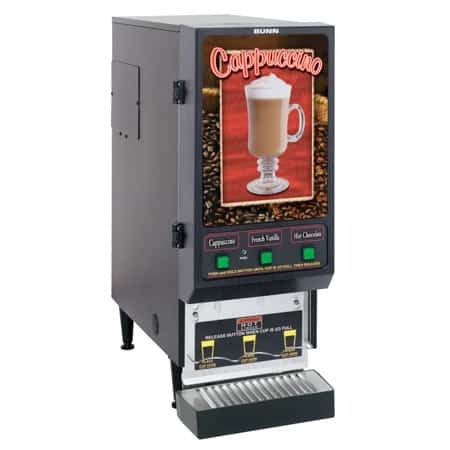 Since it’s a thermal carafe brewer, no warmer is required, and the carafe can be placed on any counter or table without harming the surface. The thermal carafes preserve the freshness of your coffee for hours and give you the freedom to transport and serve hot coffee at board meetings, buffet lines, and break rooms. The carafe holds 1.85 liters (12 cups). 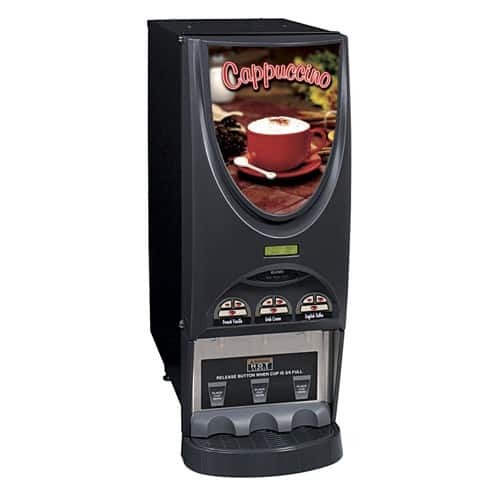 With the CW15-TC, you can prepare up to 3.9 gallons of coffee (approx. 62.5 cups) every hour. A hot water reservoir keeps water are the correct temperature for brewing, and it only take 3 minutes to brew a pot of coffee. The beautifully designed CW15-TC is is made to last for years. Solid stainless steel housing protects the state-of-the-art controls inside, and the carafes are made of vacuum-insulated stainless steel. Safety is top of mind with the Splashguard funnel, which averts hot liquids away from your hands. The Bunn Pourover Brewer’s design is versatile and provides plenty of clearance to hold an 8.5 inch tall thermal carafe. This machine is a pourover brewer, so there is never a need for a separate water hookup. Carafes are sold separately – choose from either the Deluxe Thermal Carafe or the Regular Thermal Carafe. 120V/15 amp – Requires 2-wires plus ground service rated 120V, single phase,60 Hz.